While none of us enjoy the extreme heat and humidity that summer brings, being able to swim regularly has got to be one of the few positives about this season. If you’re not too serious about swimming, then you probably wouldn’t care as much, but those who are serious about it might want to check their swimming kit. 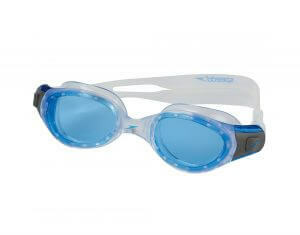 Swimming goggles are one of the most important things you need before you go swimming. These goggles help us to see better under water and also protect our eyes from chlorinated water. 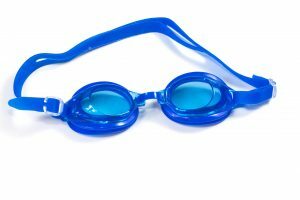 In this article, we will talk about how you can choose the right swimming goggles, and also give you a list of the top 5 best swimming goggles online. 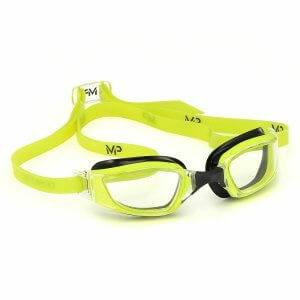 From a lay man’s perspective, the only difference between various swimming goggles lies in the colours and the brands. However, if you dig a little deeper (or swim if you’d like), you’ll realise there are several points that make them different. Here’s a list of the most important things you should consider while choosing a pair for yourself. When we say swimming, we don’t just mean going to your neighbourhood pool, we’re also talking about participating in or preparing for triathlons. When choosing swimming goggles, this information becomes extremely important as where you swim will determine the shape and colour of the lenses you should choose. 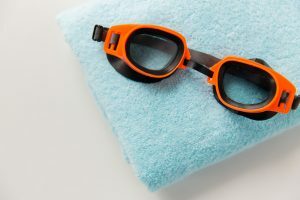 If you’re only going to use your swimming goggles in pools, particularly for when you’re doing laps or participating in a competition, we would recommend going for goggles with oval lenses. Oval lenses allow you to see straight ahead because you only need to focus on what’s in front of you, sort of like a horse in a derby race. Indoor pools are also usually comfortably lit, so you do not need to worry about the colour of the lenses as much, although we would suggest avoiding dark tints as they may make it harder for you if the lights are not bright enough. Those who swim outside in natural light, especially on sunny days, would need tinted or mirrored lenses with UV protection to protect their eyes from both the water and the sun. Tinted lenses make it easier to look around in sunlight, mirrored ones help deflect the sunlight, while the UV protection does exactly what its name suggests. You should also opt for big and flat lenses that do not restrict peripheral vision, and you can properly look around as well. These types also tend to be a bit more comfortable as do not fit into the eye socket and are great for those who tend to swim for a long time continuously. Since it is highly unlikely that all of us have the size of heads and noses bridges, we would advise you to choose a pair of goggles that gives you enough freedom that you can adjust the fit to make it more efficient, as well as more comfortable. The straps of your swimming goggles need to be the right size, because if they’re too loose, they’ll fall off, and if they’re too tight, you’ll end up with a headache before you’ve even finished a lap. Adjustable straps ensure that you don’t have to guess whether the pair will fit based on the photo, and you can make sure they’re alright for you. 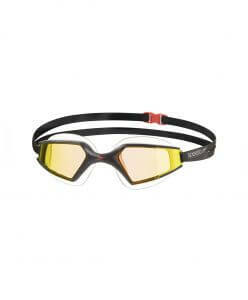 Aside from the straps, it is recommended to choose goggles with adjustable nose pieces as well. If the nose bit is too loose, it could let water enter in, and if it’s too tight it will cause you pain, so it would be better to go for a pair that does have adjustable nose pieces. Aside from these factors, you might also want to check whether the goggles come in a protective case or not, in order to make sure they stay scratch-free for longer. Any other items such as nose plugs, interchangeable nose pieces, earplugs, and so on would also be plus if they come with the goggles, so keep an eye out for those. 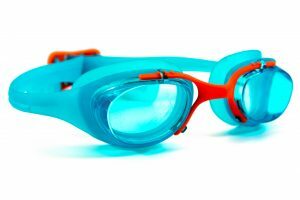 We’ve made you wait for quite some time, but now that you know what you should look for, here is our list of top 5 best swimming goggles you can buy online in India. Although they may seem to be quite pricey, they’re the best on the market, and we hope you’ll find a pair that you like and that fits your needs! These swimming goggles have the most unique type of lens called the split lens, which is great for those who want to increase their field of vision. Both the straps and the nose piece are adjustable, so you can adjust them to avoid any leaks. They have oval, mirrored, UV lenses, so they’d be great for those who like to train in outdoor pools. Although the design of the lens is great, it would take some getting used to, and the straps are also not the best as they become loose with every use, so you would need to adjust them every time you want to use them. Additionally, even though these goggles are cheap, they’re not durable, especially in terms of the straps and the nose piece. 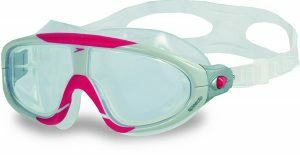 This pair of leak-proof goggles is recommended for those who like to train in indoor pools. They offer peripheral vision as they do not have the typical oval shaped lens, although they do fit into the eye socket. They also come with adjustable straps and are really comfortable for those who want to swim for 45 to 50 minutes continuously. The straps can come loose very easily though, and if you’re not careful they could fall off, therefore we do not recommend using these for speed swimming and diving. They’re also not the best choice for those with smaller heads as these goggles tend to be quite large, and would not fit you properly even if you adjusted them. If you’re looking for a pair of swimming goggles to use for various styles of swimming in outdoor pools, then this is the one for you. These come with mirrored lenses with UV protection to make sure your eyes are protected and also to deflect sunlight. Since they also offer peripheral vision, they can be used in oceans or lakes as well. They have adjustable straps, so you needn’t worry about the fit, as you can adjust them as per your needs to prevent any leaks. 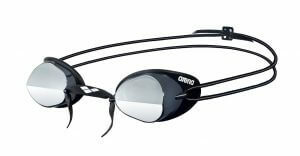 The clarity of the lenses is one of the most amazing features of these goggles as they let you have perfect vision while you’re swimming, and they feel really comfortable as well, so you can wear them for a few hours. These are the most comfortable pair of swimming goggles on this list as not only do they have adjustable straps, but they also come with 4 different nose pieces, to make sure you get the perfect fit. Therefore, these do not fall off easily and would be the best choice for those who like to train for almost 5 to 7 hours every day. Since you can customise the fit, you can be sure that no water will enter the lenses and you will always have perfect vision. The lenses let you have a 180-degree view, so on days it’s not too bright, these can be used outdoors as well. Since they run a bit small, these goggles would be perfect for those with slightly smaller heads. The best swimming goggles on the market, these goggles come with proper wide lenses with tints and UV protection, so they are especially great for the outdoors. Since they have wide lenses, they let you have peripheral vision, and as long as it’s not too dark, you can use them in indoor pools as well because the tint is not too dark. They have adjustable straps, and they fit on the eyebrow bones and cheekbones, rather than the eye socket, which is why they feel extremely comfortable and they can ensure zero leaks. They come in a mesh pouch to keep them protected while they dry, and if taken care of, they will last you 1.5 to 2 years, even with regular use! Good quality swimming goggles can be quite expensive, so to make sure that you get enough use out of them, you need to take proper care of them. 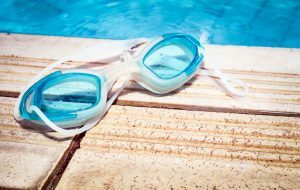 One of the biggest mistakes people make is that they do not wash their swimming goggles with fresh water after every use, due to which the lens becomes less clear over time. Another common mistake people make is that even if they do remember to wash their goggles, they do not give them enough time to dry naturally. You must make sure that your goggles have dried before you store in a case. By following these two small steps, you can increase the life of your swimming goggles and use them for longer. 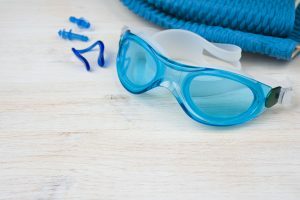 Swimming goggles are something that many of us tend to buy based solely on the look and maybe occasionally based on how they fit, but after reading this article, you must have realised how important it is to consider the type of swimming you want to engage in as well. 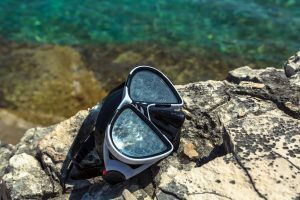 We hope this article has been able to help you learn more about how you can choose the best swimming goggles for yourself, and we also hope that you were able to find a pair that you liked from our list of recommendations.